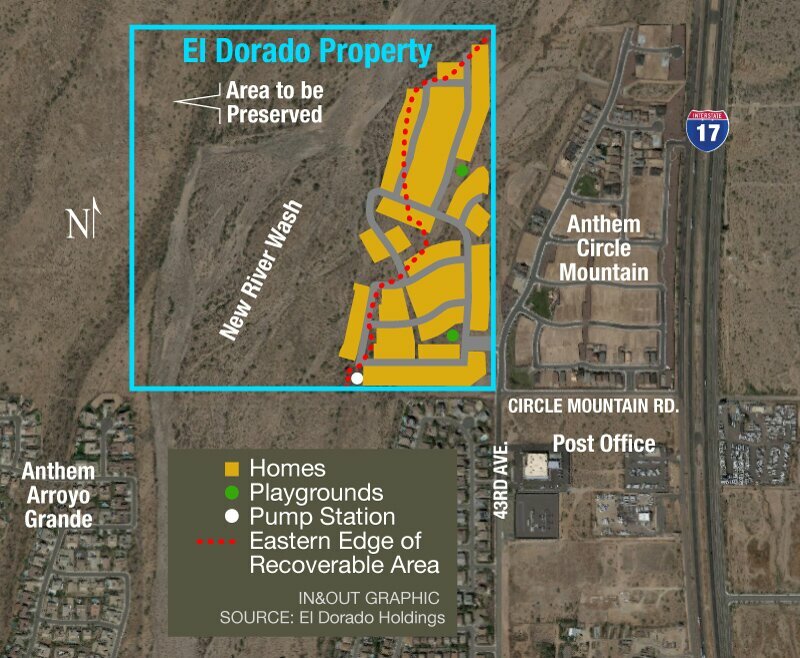 The proposal, by El Dorado Holdings in Scottsdale and reported previously by In&Out Publications, involves 170 homes and requires rezoning from S-1 (ranch or farm residence) to R1-6 (single-family residential). Riverview, as it’s called, would not be part of Anthem. Concerns from 13 residents who spoke centered largely around safety and congestion, given the single-access road, 43rd Avenue, and increased traffic already expected from Caurus Academy charter school, whose new building is under construction just north of the Post Office. Anthem Community Council CEO Neal Shearer echoed complaints that the city approves developments without providing infrastructure and public safety services to match the increased density, which puts undue pressure on fire and law enforcement agencies. With two small pocket parks planned for the project, its residents “will most assuredly” use Anthem parks, placing “a burden on Anthem residents” to pay for increased maintenance, Shearer wrote in a letter to the committee. 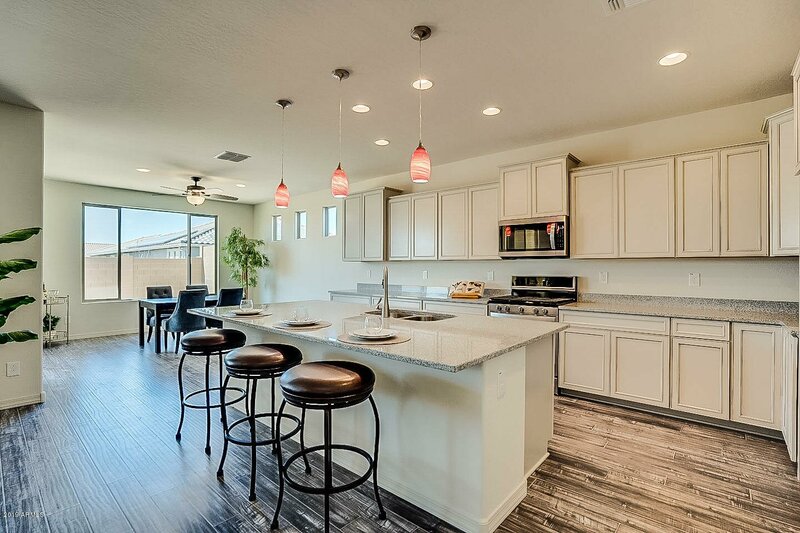 Riverview homes would be similar in design to nearby Anthem homes, the developer said. They’d range from 2,400 to 4,000 square feet with starting prices from $325,000 to $550,000. The view from Anthem the Circle Mountain neighborhood, looking Southwest, shows Anthem homes off 43rd Avenue to the left, Arroyo Grande in the distance. Riverview Homes would go in the foreground. Others objected to plans to raise the ground level up to 5 feet and build some of the homes in the New River floodplain. Aubrey Thomas, an engineer for the developer, said if the new elevation alters the path of any water during a major storm, it would not increase the water level or velocity where the main channel of the river sometimes laps up to the rim of the western bank, near homes in Anthem’s Arroyo Grande neighborhood. 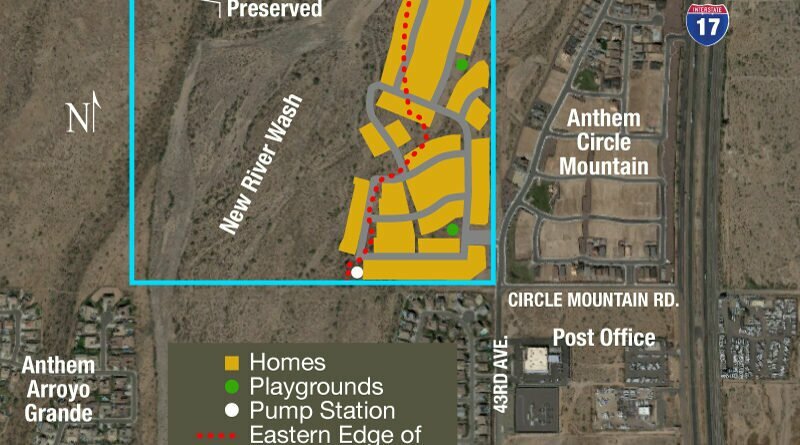 Meanwhile, Anthem homeowners abutting the proposed site’s southern edge bemoaned losing views and seeing property value potentially decline. Based on that, El Dorado proposed to change 10 two-story homes along that border to single story. An El Dorado rep said a traffic study indicates 43rd Avenue can handle the load. El Dorado has offered to finance construction of a second left-turn lane for southbound traffic turning east on Anthem Way. The rep stressed that El Dorado has owned the property since 1993, always intended to develop it, and the proposal is consistent with the city’s general plan for the area. The Rio Vista Committee, an advisory group to the city, is expected to hear the rezoning request again prior to a vote. Its recommendation would go to the Phoenix Planning Commission, and any final decision would rest with City Council.